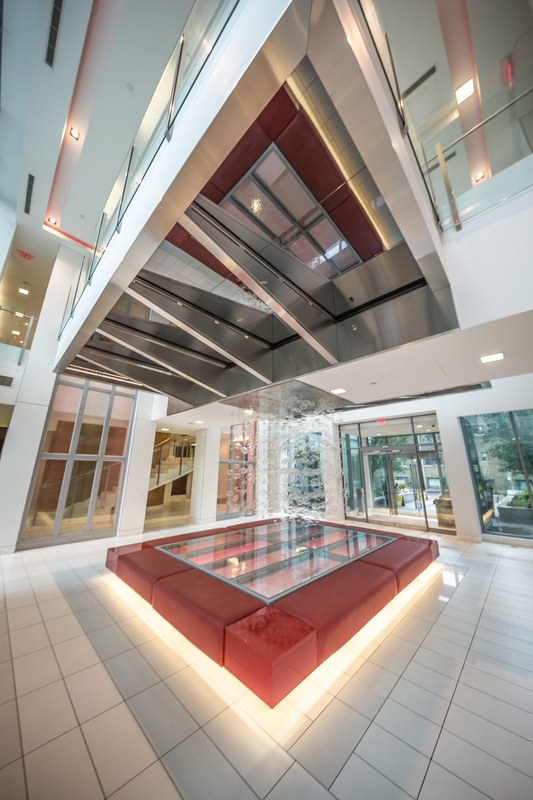 Welcome to The Verve - Tridel's LEED Certified energy efficient luxury building. This is the ideal 815 sq ft two bedroom, two bathroom split plan, northwest corner suite with gorgeous unobstructed views of Rosedale, Queen's Park and the city skyline. 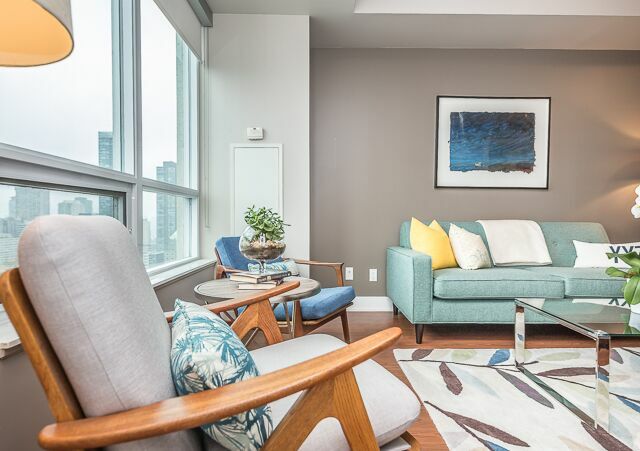 This bright two bedroom, two bathroom split plan condo is the perfect home for urban professionals. The spacious master bedroom is large enough for a king-sized bed and features a spa-like ensuite and walk-in closet for maximum storage. The second bedroom features luxurious wool carpet and is flooded with natural light through expansive windows facing north and west. Stunning rooftop pool with private cabanas and a hot tub. Relax and enjoy amazing sunsets and skyline views from your balcony. Entertain in your modern, open concept living space and kitchen, complete with a centre island and granite countertops. 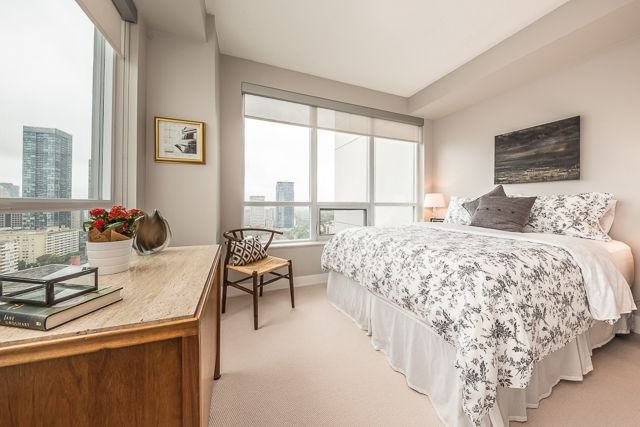 This suite comes fully equipped with a stainless steel fridge as well as a convection oven, dishwasher, microwave and ensuite front-loading washer and dryer. You will love the stunning outdoor pool, hot tub and cabanas! 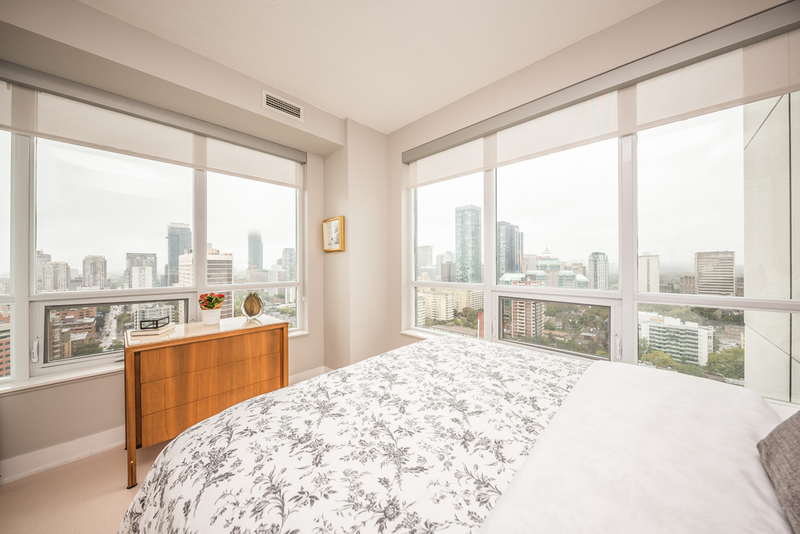 Take advantage of the modern amenities including a 24 hour concierge, gym, sauna, billiards room, BBQs, sundeck, theatre, party room and visitor parking. 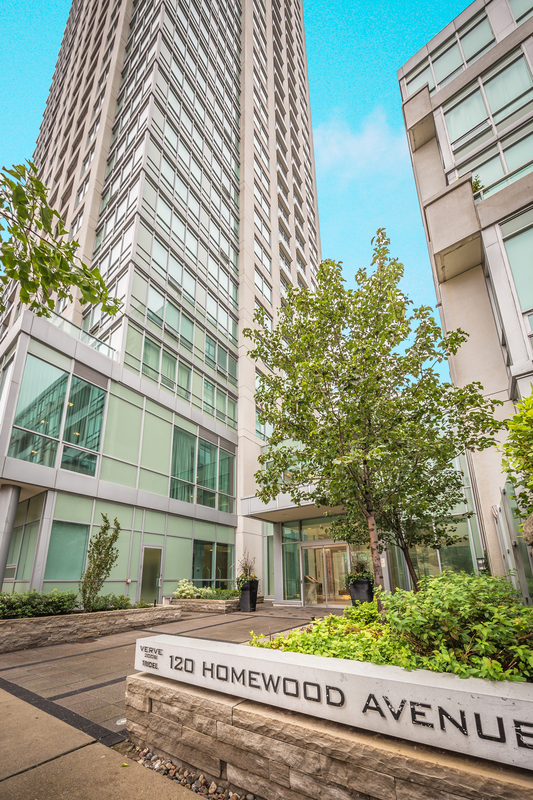 This condo has an incredible walk score of 96 and is conveniently located a short stroll from both the Wellesley and Sherbourne subway stations. 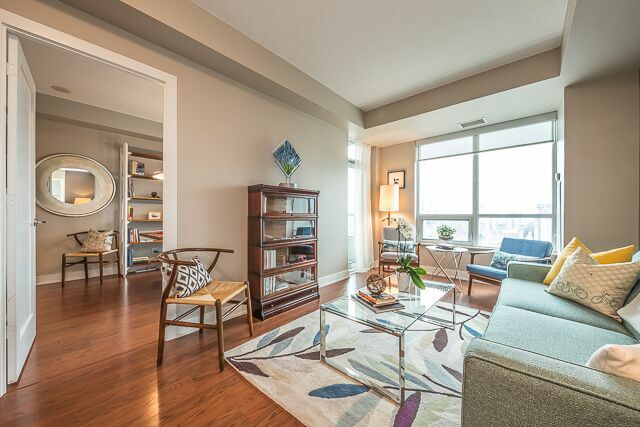 With parking (C-118) and a locker (C-172) included, this luxurious and bright midtown condo really has it all! 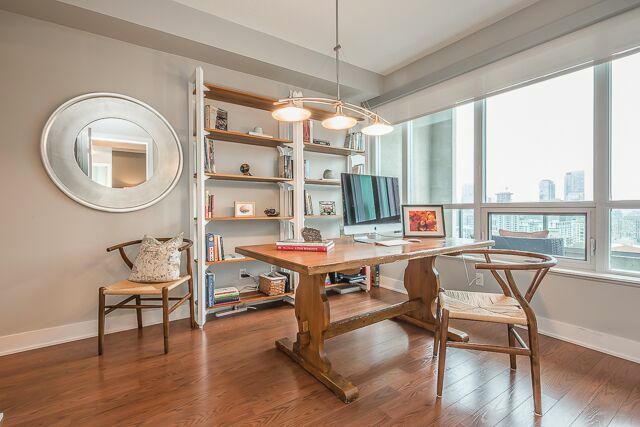 This incredible condo was offered for sale at $515,000 and has since been sold for list price in one day.